Currently, the rate at which changes are happening in the business world is inconceivable. As such, it is now mandatory for industry leaders to reinvent themselves constantly to keep up. In particular, they need to adequately address three distinct business areas mainly: Business disruption, Experience disruption, and Talent disruption. Business leaders can make use of Oracle BI tools such as the Oracle HCM (Human Capital Management) and blend it with IBM AI capabilities to address these key areas and inspire business growth. Statistics project that over the next few years, many business leaders will be prone to disruption; and only those with the capacity to act fast enough will adapt to such a situation. The same case goes for the HR. Innovative HR leaders can re-imagine how their staff works with robotics, AI, as well as IoT subsequently establishing capabilities as well as a business culture which can act fast. HR can offer both employees and managers systems and insights beyond dashboards to help them make a prompt action. Currently, automated report migration is finding use in leading HR functions as the default for each of their business transformation programs. Tutoring your HR functions in swift methods can assist you in setting the expectation that every technology and processes are in a permanent beta testing state and you can as such be prepared to change when the need arises swiftly. Typically, employees expect that their work experience needs to be as transparent, personalized, and convenient as what their brands offer them in real-time. With AI for HCM, this expectation can come to fruition. Leading firms are employing design thinking and AI to gain competitive advantage. By training employees in design thinking, organizations can ensure that they are continually innovating around crucial personas as well as providing a better experience in their activities. 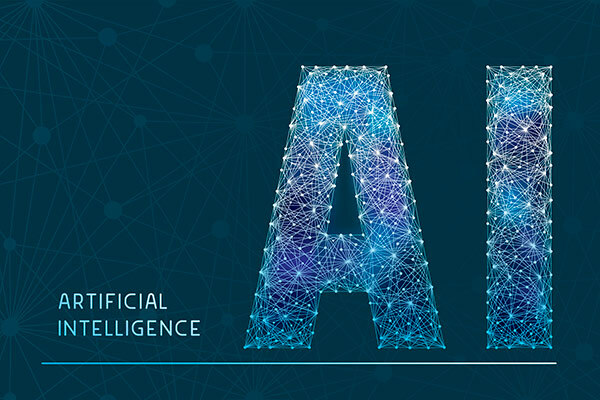 In contrast to common perception, AI does not replace the ‘humanity’ aspect in common human resources but assist humans in accomplishing their tasks better while also subsequently offloading standard, repeatable manual procedures which machine can do better and faster. Additionally, with AI, organizations can initiate new employees into the organization and its functions faster. New employees can interact with AI gadgets to get answers to their questions as well as learn the culture of the firm efficiently eradicating the need for HR personnel to perform these tasks. To entice great talent, organizations need to set themselves apart from the competition. Inevitably, numerous firms encounter the paradox where they have excess personnel but unfortunately still fall short on expertise. However, AI can help remedy this. With BI tools such as the IBM Watson Candidate Advisor, an AI-powered chatbot, the firms can interact personally with each of the candidates applying for a specific job in an otherwise almost impossible manner. What’s more, AI also creates a cordial candidate experience for everyone who is asking for a post, subsequently helping to create a good impression on them notwithstanding whether they qualified for it or not. If your business would like to know more about cloud-based report conversion, contact DataTerrain today. Our business experts can help you take your organization to the next level.